Imagine applying for a job that requires a college degree, even though the employee currently doing the same work doesn't have one. But that's exactly the situation many job seekers find themselves in -- and companies may be shooting themselves in the foot in the process. Employers are increasingly demanding that applicants have better qualifications than the person already doing the same job, according to a new study published Tuesday by Harvard Business School professor Joseph Fuller. This trend means that otherwise qualified workers are missing out on good jobs. It also costs companies more in salaries and comes as America has 6.1 million job openings -- a number that's near a record high. "By raising the bar academically, employers are often hurting their own economics and slamming the door on the opportunity to give a good-paying job to an increasing number of Americans," says Fuller. Businesses routinely say they are having trouble finding skilled or available workers, according to surveys conducted by the Federal Reserve. The manufacturing sector in particular has reported severe labor shortages. But factory bosses have raised the bar for job applicants. For example, 67% of the job postings in 2015 for supervisors of production workers required a college degree. But only 16% of the existing supervisors actually had a college education. Fuller argues that this trend is a key undercurrent in the broader debate about wage inequality. Workers without college degrees increasingly have fewer job options even though they may have the skills for a better-paying gig. In total, the bar has been raised on 6.2 million jobs that didn't previously require a college degree, according to the study, which was done in partnership with consulting giant Accenture, Grads of Life -- a nonprofit that connects employers to Opportunity Youth -- and Burning Glass Technologies, a Boston-based data firm. Researchers focused on "middle skill" jobs -- those that require more than a high diploma but less than a 4-year college degree. They found that employers increasingly demanded a college degree because the job skills for a particular position rapidly changed and companies preferred to not pay for job training. But hiring college grads for jobs that non-college grads can do carries a litany of hidden costs, according to the study. 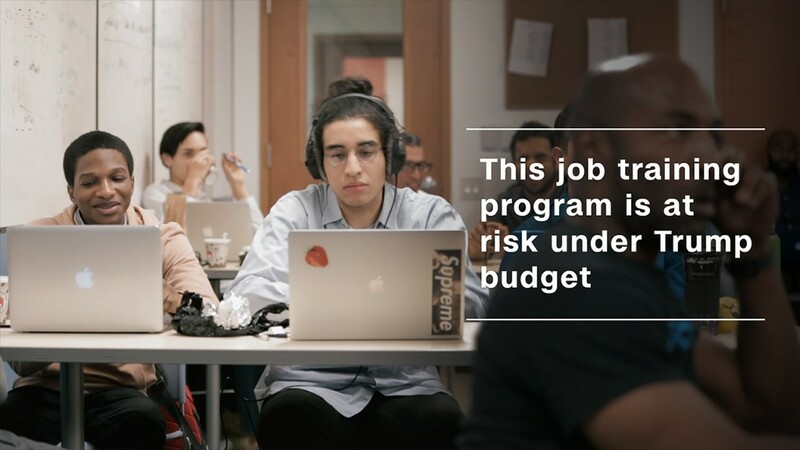 For one, the majority of employers paid as much as 30% more to hire an applicant with a college education instead of an applicant without a 4-year degree. Companies also suffered from high turnover rates and long periods of time with unfilled jobs. And people searching for work -- particularly supervisors, clerks, inspectors and secretaries -- have suffered too. The majority of the 600 businesses surveyed admitted that demanding a 4-year degree excludes some applicants. Some firms create online job application sites that automatically weed out applications without a college degree. "Even workers who have relevant experience are excluded," said Fuller, who examined 26 million job postings, in the study. Fuller recommends companies partner with local community colleges or job training centers to better prepare young workers or give middle-aged workers new, relevant skills. He also suggested in the report that employers remove automatic filters in their online job applications and use a more customized vetting process that includes people who have not graduated from college.